It’s Hoodtown author Christa Faust‘s birthday, so I thought I’d throw up some imagery more in her film noir realm. 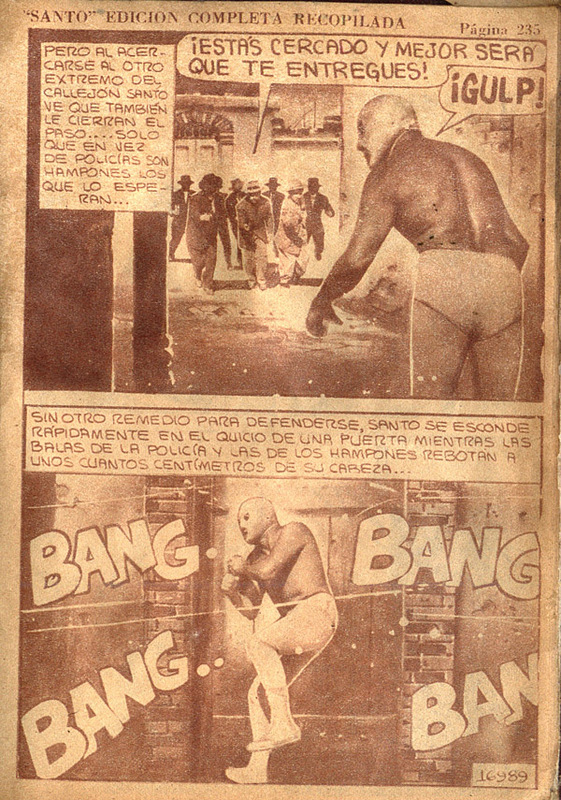 El Santo often took on supernatural menaces and rampaging monsters in the pages of the prolific Jose G. Cruz photo comics, but here’s a more down-to-earth encounter with a mob of gangsters. 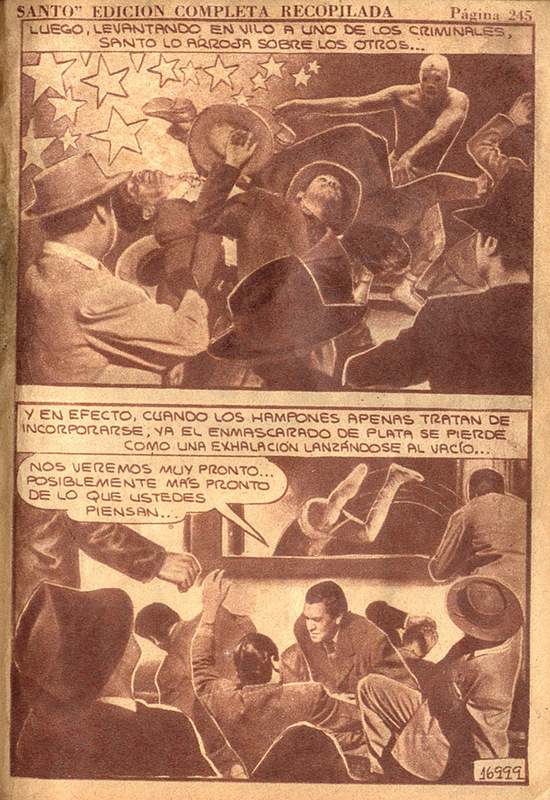 Don’t know what issue(s) or year these scans are from, but can assume early-to-mid 60s. 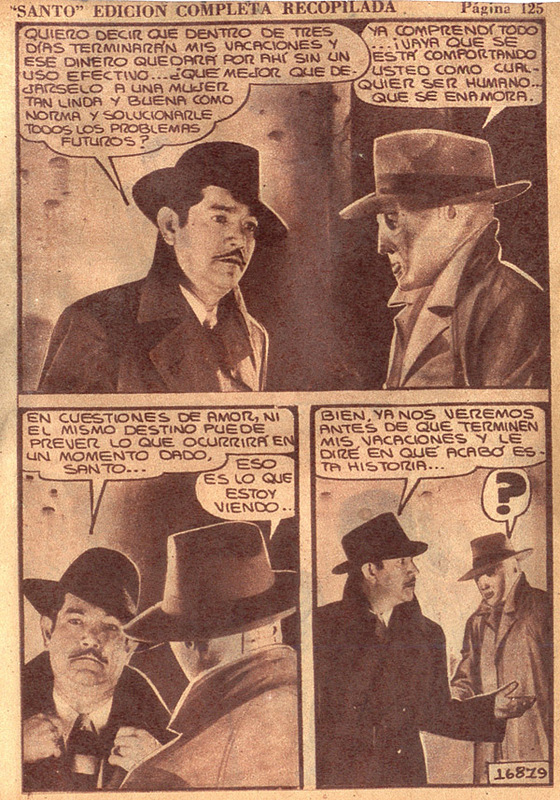 See, there’s the problem right there – everyone else is in nice suits and hats, and Santo’s walking around all shirtless and nipply. No good can come of this. Scrap long enough with an angry, fashion-concious mob, and eventually the best of us breaks down and joins the crowd. How cool are these images of an incognito Santo in London Fog!! !